From Jupiter, head north up A1A on the island, Coral Cove is before Blowing Rocks. The foreground is part of the Anastasia Limestone of the Atlantic Coastal Ridge, which outcrops along the coastline. 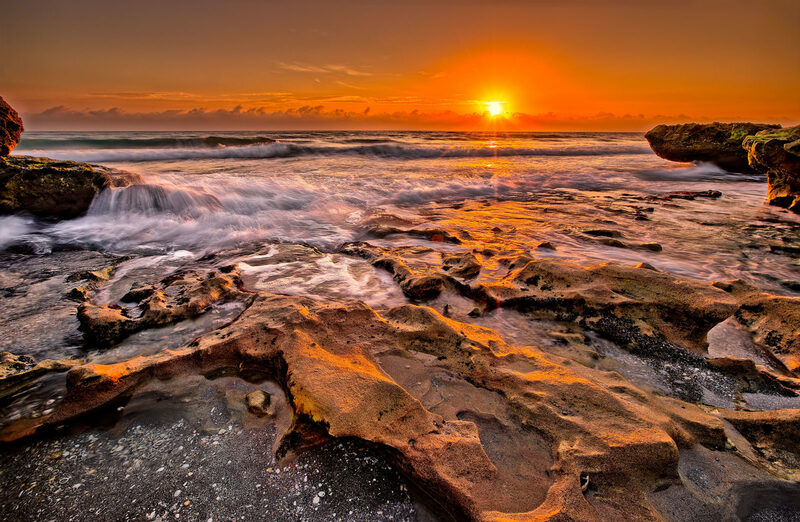 The surf crashes over limestone formations as the sun rises in the east over the Atlantic Ocean at Coral Cove in Jupiter Florida.